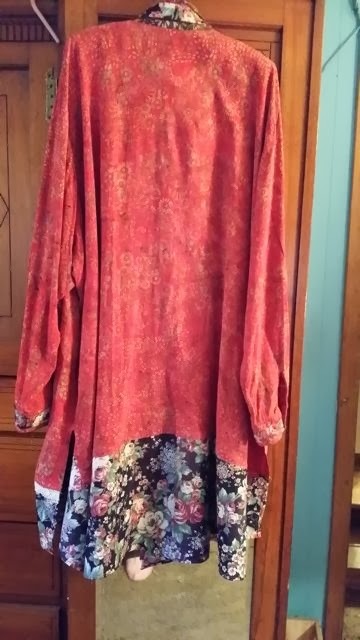 I've been itching to try altering clothes. 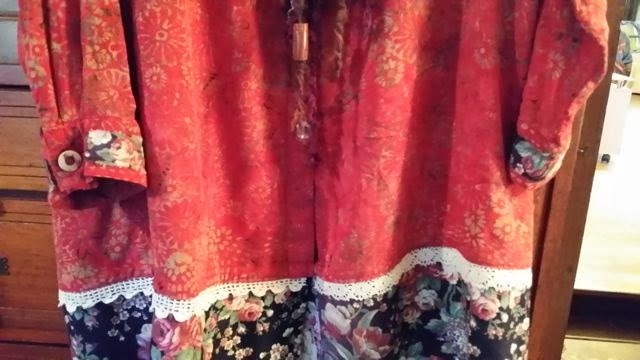 My girlfriend gave me this sweet, longish blouse. 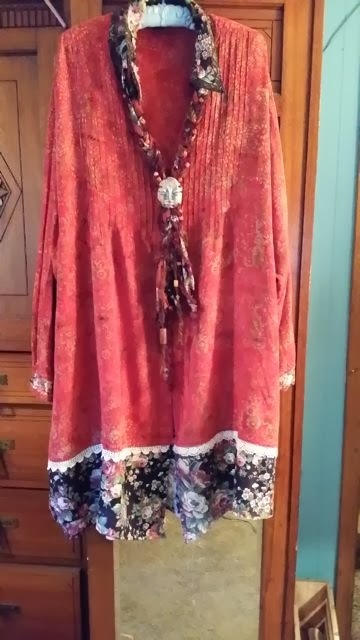 So today I added a panel at the bottom, some trim on the collar and cuffs, then braided the trim fabric with some yarns and beads and offset that with one of my primitive faces. I like the results. Even wore it to the Business Association dinner tonight! Now, I'm looking at what I can cut into next! Introducing Amazing Guest Artist: Arzie Hodge! Hello friends... 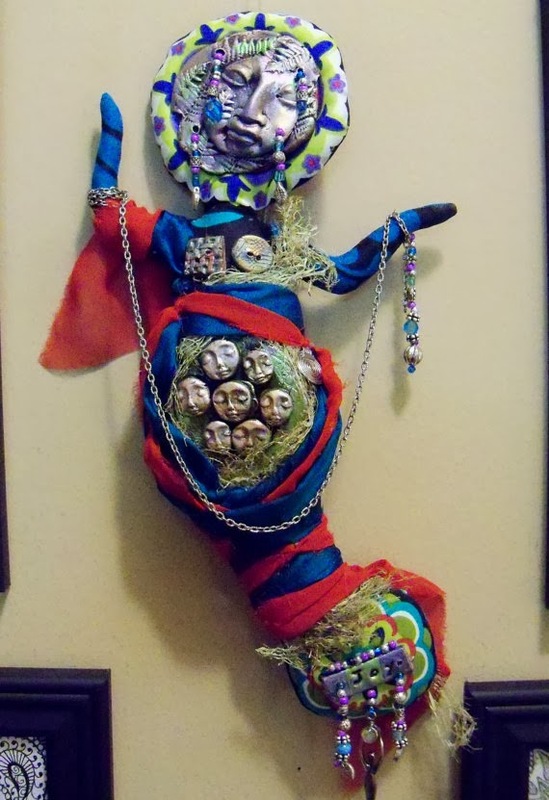 I am so thrilled to introduce you to a fabulous Spirit Doll Artist, Arzie Hodge! 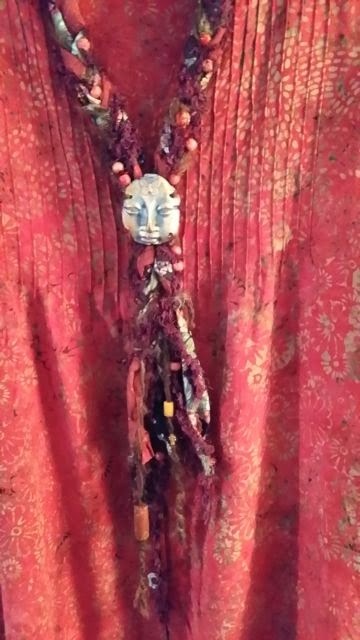 And, I am so honored that she used one of my Spirit Doll faces and several adornments to create her "Mother Earth Goddess" cloth doll. You can find Arzie on Etsy HERE. 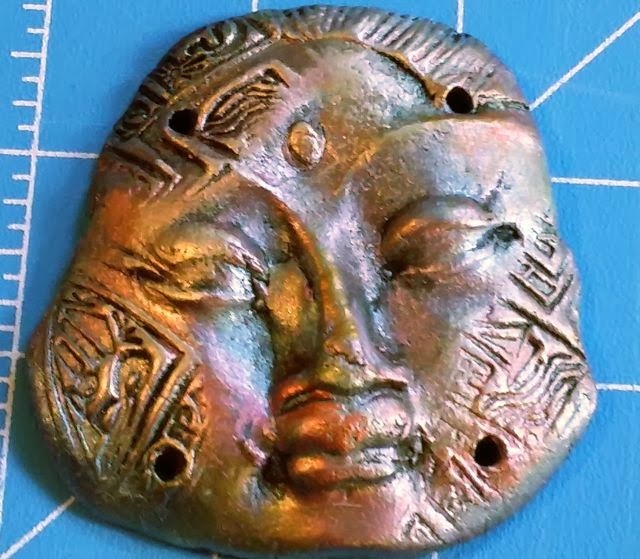 AND "MOTHER EARTH GODDESS" can be found HERE. Do check her out. 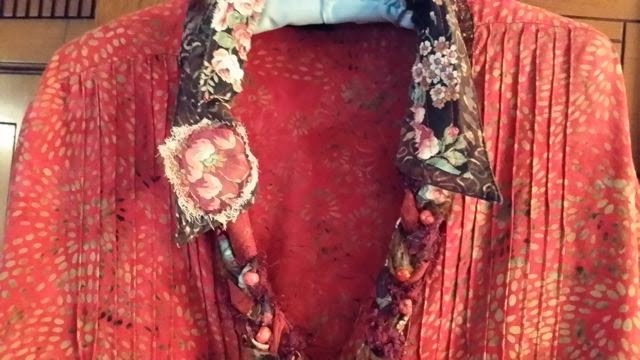 She creates beautiful, fabric formed dolls... some are 'do-it-yourself' kits! I just finished my latest new Primitive Spirit Doll series. 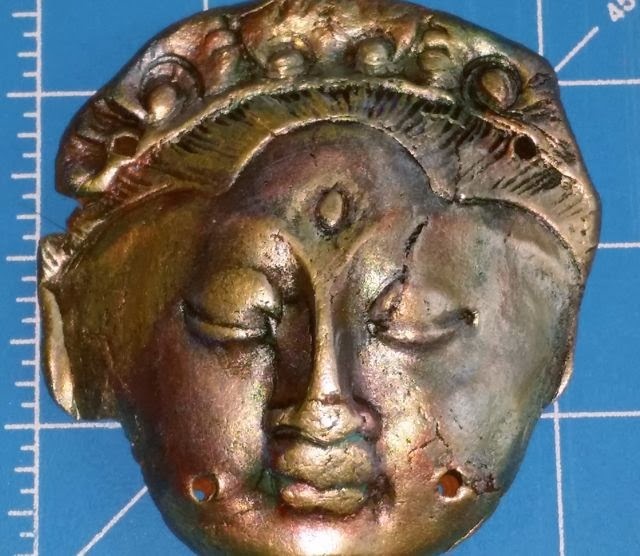 I made the mold from a wood statue I brought home from Bali ten years ago. They are all on sale in my Etsy shop. Used 'ImpressMe' Hieroglyphic stamps to create what you see. We are doing a happy dance here in the Santa Cruz mountains of California. It's been raining! Finally! and more than just a drizzle, yet not too-too much to cause flooding or landsliding. We are all grateful for the Prayers and Rain Dances! 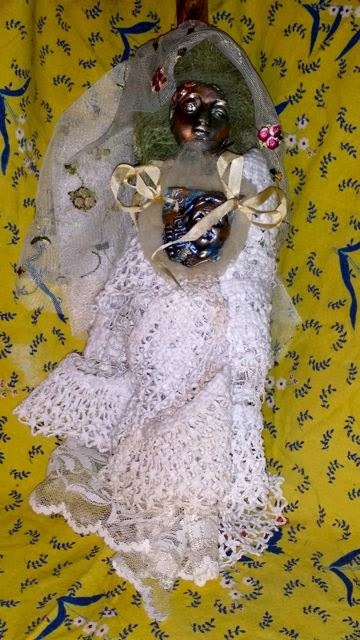 Sherry Sharp, of Dream a Little Designs, created a Blessed thing of beauty with one of my Spirit Doll faces! 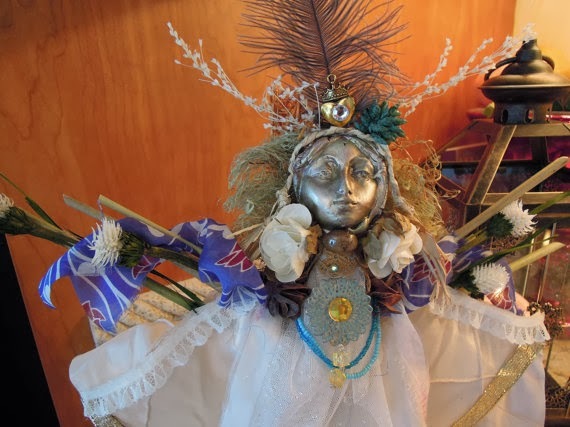 Here is her Spirit Doll, Aurora, meaning "Goddess of the Dawn." 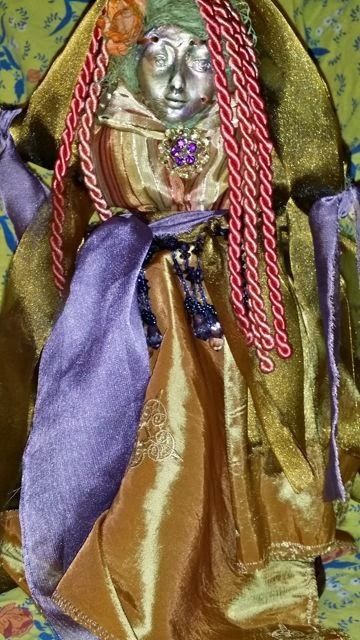 Sherry writes: "This enchanting doll will be a symbol to you of new beginnings, and new love and adventure in your life. Evokes Angels, guides, and good energy into your life to watch over you. "Aurora has a Mother Earth Goddess theme, as she represents Gaia, seen through many cultures as the One Mother Goddess, Goddess of all the ocean, skies, mountains and living things. 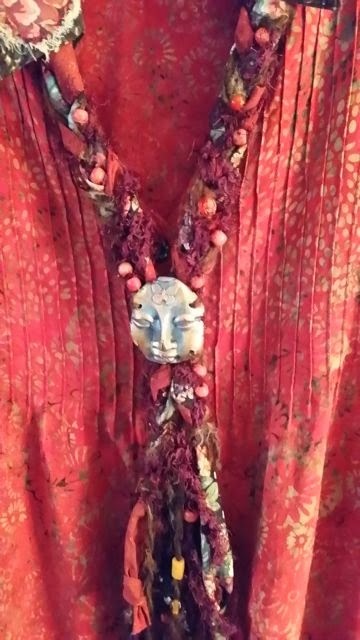 I used as much dried flowers and branches as possible, and an angelic face made of earth clay...." You can see Aurora HERE in Sherry's Etsy shop. I'm just feeling so blessed that she created such a Sacred thing of Beauty and Blessings, from one of my Spirit Doll faces. 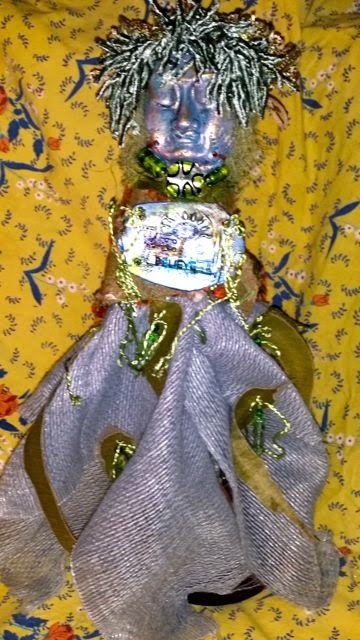 Do check out her write up about Aurora... Sherry's composed a beautiful poem accompanying her Spirit Doll. Read it HERE. So, what have I been up to this week? 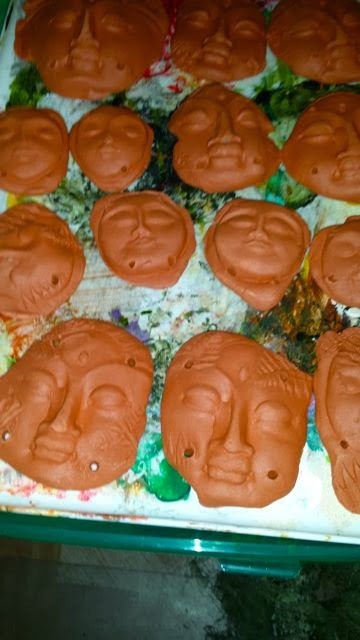 Lots of clay work! 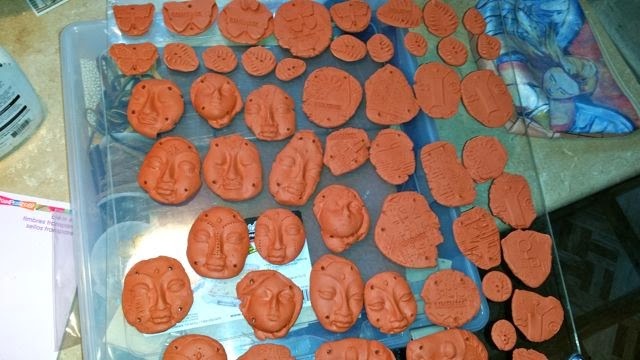 More than four pounds of terracotta clay! But with the rainy weather and high moisture in the air... they are not drying very quickly! 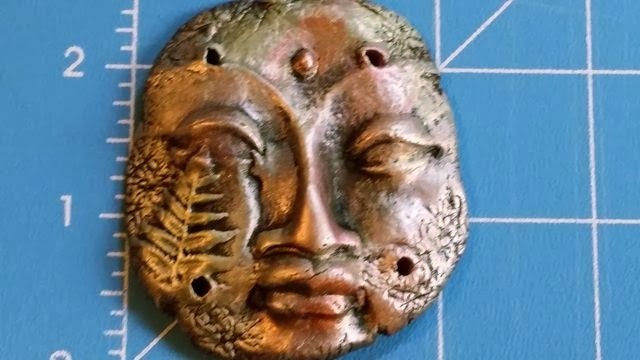 I made a new mold from a wood Goddess carving I purchase in Bali 20 years ago. 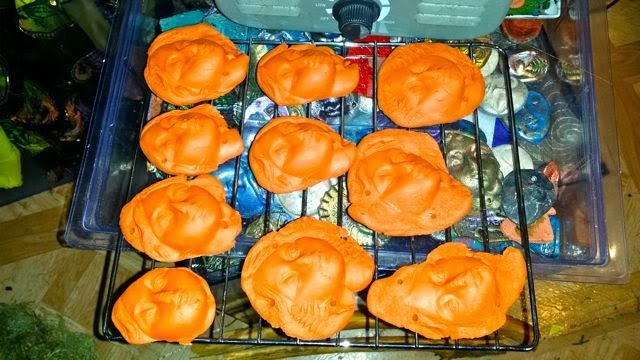 I'm pleased with the ancient look of the faces. 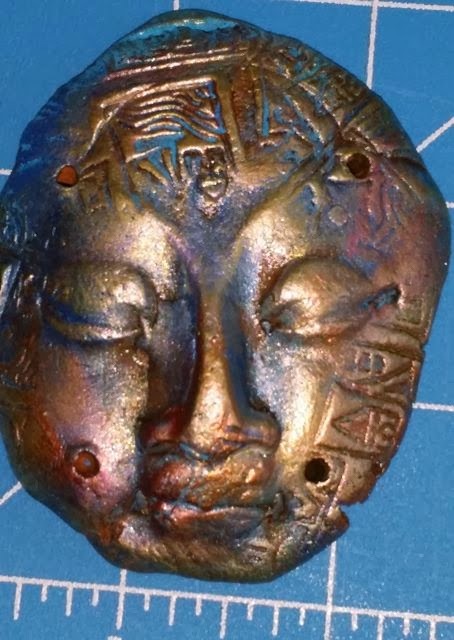 Some pin holes and hieroglyphic impressions seem to enhance their look. What do you think? And! Be still my heart. I received a gift certificate from my son and daughter in law... and so this week, a dream came true... 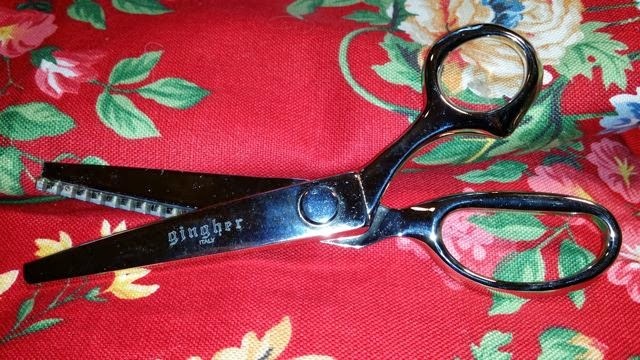 I now proudly own a beautiful pair of Gingher pinking-shears! They cut so beautifully! I love them. or what ever keeps you safe and comfortable, where ever you are!